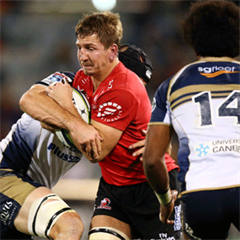 Perth - Fullback Dane Haylett-Petty will return to the Western Force starting line-up for their Super Rugby clash against the Cheetahs at nib Stadium on Saturday. Haylett-Petty, who returned from a six-week foot injury off the bench against the Sharks a fortnight ago, will start in the No 15 jersey with Luke Morahan to start on the wing. On the bench, Chris Alcock returns to the Force's match-day squad, while Marcel Brache will provide cover for the outside backs. The match will also mark the Force’s 10th season anniversary match in the competition. 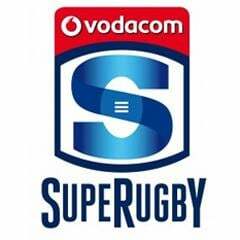 The Force entered the Super Rugby competition with the Cheetahs in 2006, with the Western Australian club recording their first tournament victory against the Bloemfontein-based side in Kimberley that same year. Kick-off for Saturday’s game is scheduled for 13:45 (SA time). 15 Dane Haylett-Petty, 14 Luke Morahan, 13 Kyle Godwin, 12 Luke Burton, 11 Nick Cummins, 10 Sias Ebersohn, 9 Alby Mathewson, 8 Ben McCalman, 7 Kane Koteka, 6 Steve Mafi, 5 Adam Coleman, 4 Sam Wykes (captain), 3 Tetera Faulkner, 2 Nathan Charles, 1 Pekahou Cowan.